The MSc in Women, Peace and Security is a 12-month programme dedicated to the gendered analysis of peace and security in conflict and post-conflict settings. It will provide a critical examination of peace and security issues affecting women in a global world. The scholarships will cover all tuition fees and provide a monthly stipend to assist with living expenses for five students from the UK or overseas for the coming academic year (2017-18), ensuring that the best students, regardless of personal financial circumstance or country of origin, will have the opportunity to undertake this critical new programme of study. Students who come directly from conflict-affected areas, or who have been displaced due to conflict are particularly encouraged to apply. MSc in Women, Peace and Security students will be part of a community of scholars, activists and practitioners from around the world dedicated to developing strategies to promote gender equality and enhance women’s economic, social and political participation and security. The Centre for Women, Peace and Security was launched in 2015 to promote justice and equality for women living in conflict-affected situations around the world. The MSc in Women, Peace and Security is a postgraduate programme in the LSE Gender Institute, the largest research and teaching unit of its kind in Europe. The global 16 Days of Activism against Gender Violence runs annually from 25 November, International Day for the Elimination of Violence against Women, until 10 December, International Human Rights Day..
Who is eligible? All students with a financial need and clearly articulated commitment and potential in the field of women, peace and security are eligible. We particularly welcome students who come directly from conflict-affected areas, or who have been displaced due to conflict. How do I apply? 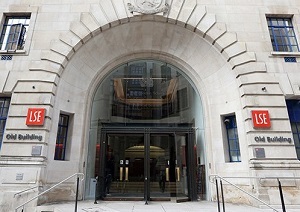 Prospective students should complete the LSE Graduate Financial Support Application form when applying to the MSc in Women, Peace and Security. How many scholarships are there? Up to five scholarships will be awarded for the academic year 2017-18. The Centre for Women, Peace and Security is actively seeking new partners to establish support for students in subsequent years. What will be covered? Scholarships will cover tuition fees and provide a monthly stipend in support of living expenses.